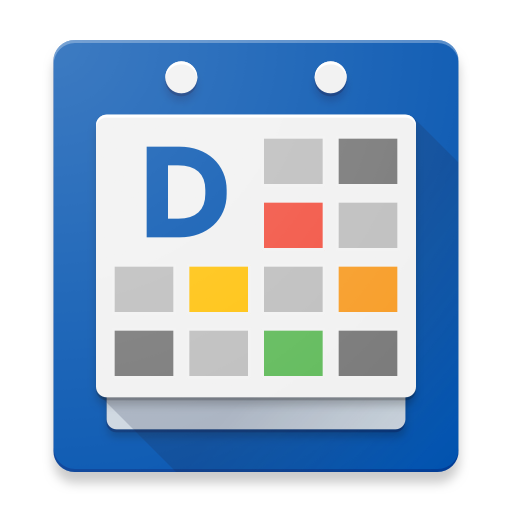 List widget gives you a scrollable list with your upcoming events. If you are not familiar with adding widgets on your home screen, check out our tutorial. Selecting the day and date in the header open the default calendar view. You can change the default view for the widgets in the preferences. Tapping on an event opens the event screen. If a event has a location, you can tap on the location icon to open Google Maps. To learn how you can easy add locations in your events. In the widget configuration window, you can customize your widget to your preferences. When you select "Widget Type", you can choose up to 6 different widget types. Thanks to the live preview of the widget type, you can see how the widget type will look like on your home screen. Scroll through the list to access all the widget types. When you select "Theme", you can choose up to 9 different widget themes. Thanks to the live preview of the widget theme, you can check if the widget theme will suit your home screen background. When you select "Font size", you can apply the font size preset for your widget, saving you all the trouble of adjusting the font size for all the individual items. When you select "Font style", you can choose from a variety font style to suit your widget design. Please note that this is a DigiCal+ feature only. When you select calendars to display, you can choose which calendars to show up in one specific widget. For example you can create one widget for work appointments and another for personal events. Please note that this is only available for DigiCal+. Here we will explain the layout options. When you select "Show events for the next", you can choose how many days you would like to display in the widget. If you only want to see the days with appointments, you can deselect the option "Show empty days". Deselect the option "Show map button", if you don't want to have the location shortcut next to your events. Here we will explain more about the customization options. You can also choose to change the header title size and the background colors. For the weather options: you can choose whether you would like the weather and temperature to be shown and change the weather icon size. When you select "Weather icon size", you can adjust the size of the weather icon with a live preview of size. You can also choose to adjust the colors of all the widget items instead of making use of our widget themes. You can make use of the color picker to change the color, opacity and the transparency level. This feature is only available to DigiCal+ users. You can also choose to adjust the font size for all the widget items, if you feel like the font size presets don't offer enough customization. Please note that this is a DigiCal+ feature. When you adjust the font size, a live preview of the size will be shown, giving you a better idea of how it will look like in the widget.